Christmas is coming....Santa is loading his sleigh and making his way down to Chino Hills. 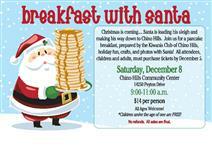 Join us for a pancake breakfast, prepared by the Kiwanis Club of Chino Hills, holiday fun, crafts, and photos with Santa. 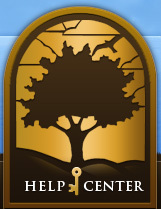 All attendees, children and adults, must purchase tickets by December 5. All ages welcome. Children under the age of one are Free. No refunds, all sales are final.